Abraham Lincoln passed through Peekskill, N.Y. twice during his years as president, once on the way to his inauguration in 1861 and again when his remains were carried home to Springfield, Ill., for burial. On both occasions, one filled with tension and the other shock and grief, he made the trip by train and it stopped at the depot in Peekskill, a lovely town on the Hudson River. The depot survives and today is home to the Lincoln Depot Museum. I had the pleasure of speaking there today to a standing room only crowd. I talked about Civil War portrait photography, a presentation that I have been refining over the past year. In my humble opinion, it is the best yet. Several folks deserve special recognition: John Testa, museum president, Paul Martin III, board member and talented artist, and a super special thanks to Brian and Emil Caplan, who fed and sheltered me, including a wonderful dinner party and an early morning road trip to Elephant’s Trunk Country Flea Market in New Milford, Conn. Thanks also to everyone who attended. The next time you are in or near Peekskill, a highly recommend a museum visit. My talk last evening at the Rockland Civil War Round Table in Pearl River, N.Y., unfolded differently than any others in recent memory. Early on during my presentation, “Cardomania! The Rise and Fall of the Carte de Visite in Civil War America,” one of the members asked a question. Typically, questions come at the end of the lecture, but this is not a hard and fast rule with me. So I rolled with it and answered the question. More questions came as I continued the talk, and what normally is a 45-minute presentation lasted about double the time. I enjoyed the format change! My visit would not have been possible without all of the fine folks in this group, especially Paul R. Martin III, who heads up the organization. A high school art and photography teacher, and an accomplished artist in his own right, Paul was a great master of ceremonies and host. A big thanks to all who participated. And thanks for the treasure trove of gifts, picture here. Received my latest issue of the Civil War Monitor today and was thrilled to find not only that a gallery of images from my navy book received great play and the coveted cover slot! I am grateful to Terry Johnston and all the fine folks on the CWM team for making it happen. I also learned that the book is due out in November, just in time for the holidays. Pre-orders are available on Amazon. Light traffic and springtime glory accompanied me on yesterday’s drive to Charlottesville, Va., to present a talk about Civil War photography to the local Civil War Round Table. I found, upon my arrival, that Duncan Campbell has managed all the technical considerations. I soon met president L. Peyton Humphrey and other group members. My program, The American Soldier in Portrait Photography, 1861-1865, describes the emergence of the carte de visite as the dominant photographic format during the war years and traces its rise from the origins of photography. The 60-slide presentation includes a group of six cartes to illustrate the individuality of Union and Confederate soldiers, and I swap the six out depending upon the audience (Example: When I presented this program in Augusta, Ga., back in January, the six were all Georgians). This time, one of the portraits I chose for inclusion was U.S. Navy Paymaster George Work, pictured here, who drowned when his ironclad gunboat Tecumseh sunk at the Battle of Mobile Bay. I selected his likeness to add a navy man to the grouping. Turns out one of his descendants, Jean Turrentill, was in the audience! We met afterwards and I’ll be sending her the information that I’ve collected about Work’s life and tragic death. I also met someone seeking an image of her forefather, and this is a common experience in my presentations. This time, Patricia Ford approached me with a request for a photograph of William Condra Gass of the Union 9th Kentucky Infantry. Gass, from Clay County, Ky., was mortally wounded at the Battle of Stones River on Dec. 31, 1862. A quick search of my subscription databases turned up no portraits. Perhaps you can help! Patricia’s email is craftylady084@gmail.com. If you are looking for one of the premier Civil War Round Tables in the country, go to Augusta, Ga. A few years ago, the organization had declined to about a dozen members. Now, they are an army of about 160 thanks in large part to their leader, Gwen Fulcher Young. I had the privilege to speak to a large number of the membership last night and thoroughly enjoyed my visit. 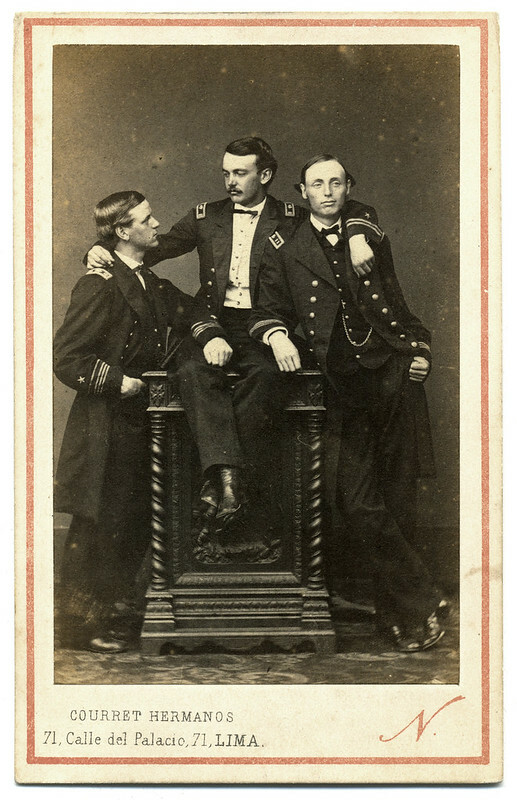 I presented a new talk, The American Soldier in Portrait Photography, 1861-1865. It is in fact part history of photography and part understanding of how it came into its own in the form of the carte de visite style on the eve of our Civil War. I was delighted with its reception, and by sales of my books and Military Images magazine afterwards. A big thanks to everyone who made the event possible, especially Gwen, her husband Bob, and my old college pal Greg Hunnicutt.